WASHINGTON, DC, September 20, 2013 (ENS) – The U.S. Environmental Protection Agency today proposed the country’s first Clean Air Act standards to cut carbon pollution from new power plants to combat climate change and improve public health. The newly proposed standards are meant to ensure that the power plants of the future use cleaner energy technologies, such as efficient natural gas, advanced coal technology, nuclear power, and renewable energy like wind and solar. Power plants are the largest concentrated source of emissions in the United States, accounting for roughly one-third of all domestic greenhouse gas emissions. While the United States has limits in place for arsenic, mercury and lead pollution that power plants can emit, there are no national limits on the amount of carbon pollution new or existing power plants can emit. “These standards will also spark the innovation we need to build the next generation of power plants, helping grow a more sustainable clean energy economy,” she said. Today’s proposal achieves the first milestone of President Barack Obama’s June 25 Memorandum to the EPA on “Power Sector Carbon Pollution Standards,” a crucial part of the President’s Climate Action Plan, which he announced at Georgetown University on June 25. To establish carbon pollution standards for existing power plants and build on state efforts to move toward a cleaner power sector, EPA has begun to work with state, tribal, and local governments, industry and labor leaders and nonprofits. In accordance with the June 25 Presidential Memorandum, EPA will issue proposed standards for existing power plants by June 1, 2014. Today’s proposal sets separate standards for new gas-fired and coal-fired power plants. New large natural gas-fired turbines would need to meet a limit of 1,000 pounds of carbon dioxide per megawatt-hour, while new small natural gas-fired turbines would need to meet a limit of 1,100 pounds of CO2 per megawatt-hour. New coal-fired units would have to meet a limit of 1,100 pounds of CO2 per megawatt-hour, and would have the option to meet a somewhat tighter limit if they choose to average emissions over multiple years, which would giving those units more operational flexibility. McCarthy said these proposed standards will ensure that new power plants are built with available clean technology to limit carbon pollution, a requirement that is in line with investments in clean energy technologies that are already being made in the power industry. She said the proposed standards offer flexibility by allowing sources to phase in the use of some of these technologies. But some Republicans in Congress are opposed. At a hearing on climate change in the House of Representatives on Wednesday, EPA Administrator Gina McCarthy faced climate change-denying congressmen. One Congressman blamed carbon dioxide emissions from natural sources, such as plants and oceans, to argue that human activity is not the problem. Another congressman claimed that the Earth is not warming, despite the evidence from scientific institutions across the world. On Thursday, Senate Republican Leader Mitch McConnell of Kentucky, a coal-producing state, called the proposed rule “devastating” and announced his intent to file a resolution of disapproval under the Congressional Review Act to stop the EPA from imposing its new regulation by ensuring a vote to repeal it. 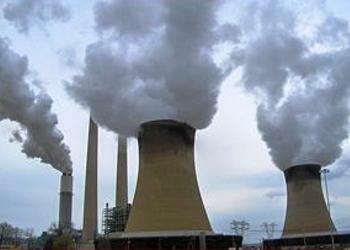 Environmental groups applauded the proposed carbon emissions standards. “Cleaner power generation will protect our children from dangerous smog, extreme weather, and other serious climate impacts, and ensure that America leads the world in the race to develop cleaner, safer power technologies,” said Krupp. The NAACP today commended the EPA for its proposal, saying communities of color suffer the worst effects of carbon pollution from power plants. Currently, nearly a dozen states have already implemented or are implementing their own market-based programs to reduce carbon pollution. In addition, more than 25 states have set energy efficiency targets, and more than 35 have set renewable energy targets. In 2009, EPA determined that greenhouse gas pollution threatens Americans’ health and welfare by leading to long lasting changes in our climate that can have a range of negative effects on human health and the environment. The agency is seeking comment and information on today’s proposal, including holding a public hearing, and will take that input fully into account as it completes the rulemaking process. EPA’s comment period will be open for 60 days following publication in the Federal Register. In a separate action, EPA is rescinding the April 2012 proposal.